Surrounded by five beautiful mountain ranges and known as the sunniest city in the United States, it’s no wonder that for those with forklift certification, Tucson AZ is the place to be. Home to many of the companies top employers in a wide range of fields, including manufacturing, consumer goods, healthcare, military industrial, and more, Tucson offers many fun and lucrative job opportunities if you have forklift training. Tuscon AZ is also a very affordable and livable area with plenty of inviting state and national parks for the adventurous, as well as many cultural attractions like the popular Tucson Rodeo. With so many great attractions, a robust economy, and business-friendly environment, it’s no wonder that Tucson has many great forklift driver jobs available. CertifyMe.net, a leading online provider of OSHA compliant training, provides a great assortment of training courses for any forklift driver in Tucson, and throughout Pima County. Once you have your Tucson forklift training, it’s good all across the United States. OSHA requires that all forklift operators have proper certification, and CertifyMe.net has everything you need to get started today. Give yourself the best chance to land a forklift job in Tucson – sign up with CertifyMe.net today! In Tucson, forklift certification opens up many doors for job seekers in a diverse array of industries. 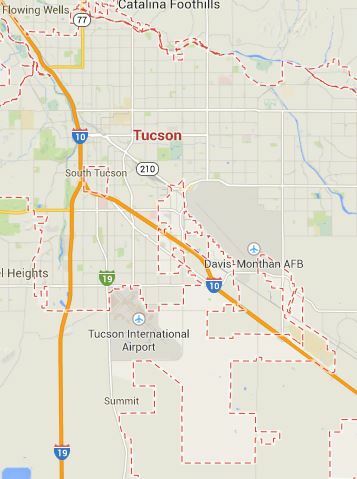 Tucson is home to major military installations, prominent companies in the high tech and aerospace industries and major medical and research facilities. Additionally, there are many other large employers that represent a well-balanced mix of retail trade, government and military entities, all of which frequently need well-trained forklift operators. Tucson has something for everyone, including forklift drivers of any age or skill level! Tucson Forklift Training Can Get You Ahead! Tucson is packed with plenty of great employers – and many of them require forklift drivers all the time! The city’s booming construction industry is always in need of forklift drivers, along with warehouses and distribution centers in Tucson and across Pima County. Raytheon Missile Systems employs over 10,000 high-wage employees in Tucson and manufactures advanced weapon systems in its facilities. For those looking to work for Raytheon in Tucson, forklift training program can prove a vital asset for employment. Another major employer in the military and aerospace industries that is often looking for individuals with forklift certification Tucson AZ, is Bombardier. For the manufacturing, storage and distribution of technology and consumer goods, many employers in the Tucson region are looking for candidates that have OSHA certified forklift training. Tucson is hosts the production and shipping facilities for many international employers, including IBM, Texas Instrumentsand Honeywell. In Tucson, forklift certification can also be extremely useful if you wish to work in the ever-expanding medical manufacturing and shipping with major employers in the region such as Ventana. Many major employers in the Tuscon area offer forklift certification for their employees. However, if you are looking for a new position or wish to work with a company that does not offer certification, you can also receive online OSHA compliant forklift certification. Tuscon AZ offers tremendous opportunities for those wishing to move ahead in their current career path or for those looking to make a transition to a new industry. Besides numerous job opportunities for those individuals with forklift certification, Tucson AZ also offers countless attractive qualities as a beautiful and fun place to live. With more than 350 days of sunshine, Tucson is the sunniest place in the U.S. and there’s plenty to do with all of that abundant sunshine. From exciting outdoor activities like hiking, golf and horseback riding, to a rich cultural heritage to explore, and a thriving arts and culinary scene, Tucson has plenty to offer everyone. Learn more about receiving your OSHA compliant forklift certification and find out why Tucson, AZ may be the best place for you to further your career and get the most out of life. For more information about forklift certification in Tucson, call CertifyMe.net today at 1-888-699-4800. In just a few simple steps, you’re on your way to becoming a safer, better forklift driver in Tucson. If you’re ready to get started, click here. CertifyMe.net is here to help with your forklift skills – contact us today.